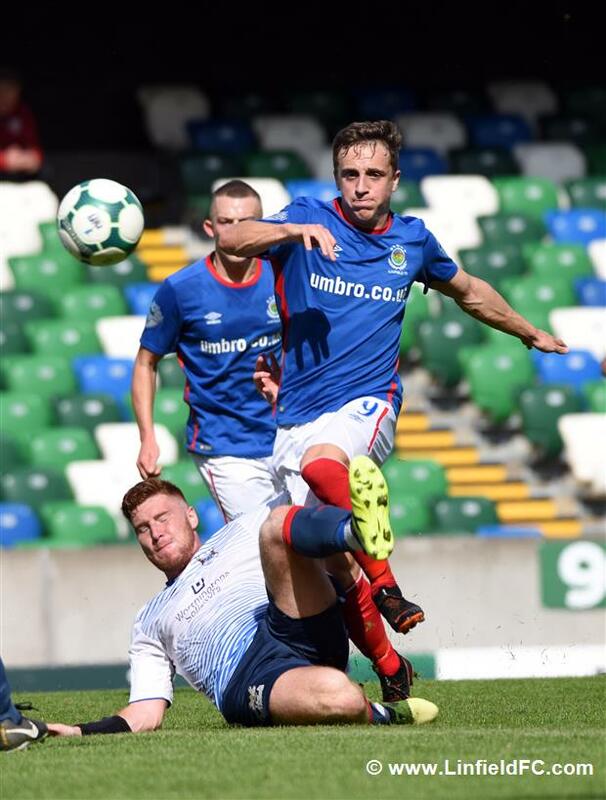 Linfield were held to a frustrating draw at Windsor Park this afternoon, as Ards defended well for a point. 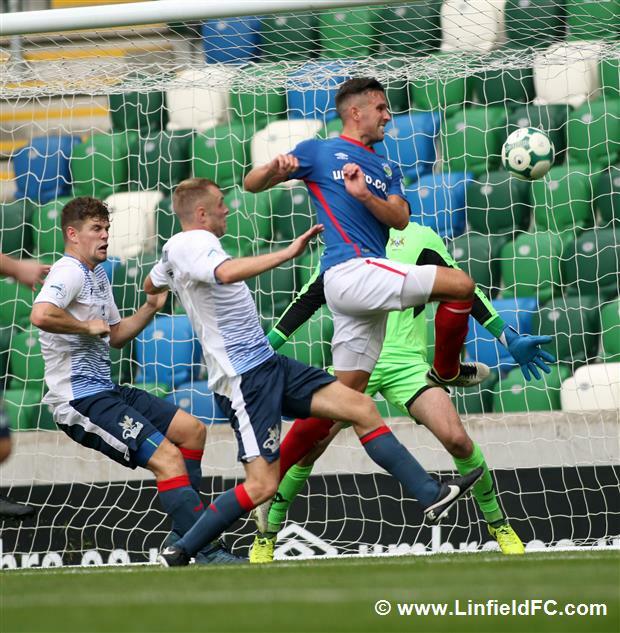 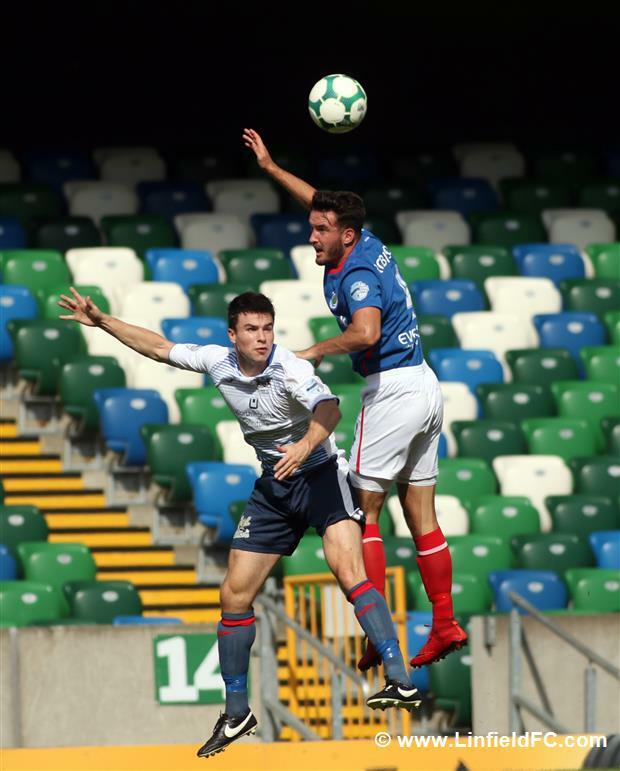 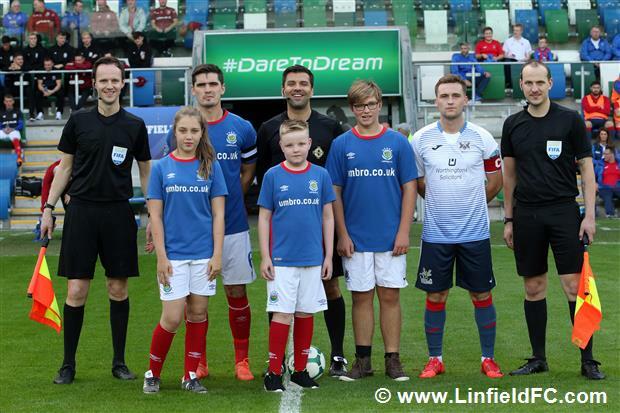 Niall Quinn almost scored within 45 minutes into his 200th appearance for Linfield when his cross-come-shot proved dangerous and had to be clawed away by Ards ‘keeper Sam Johnston. 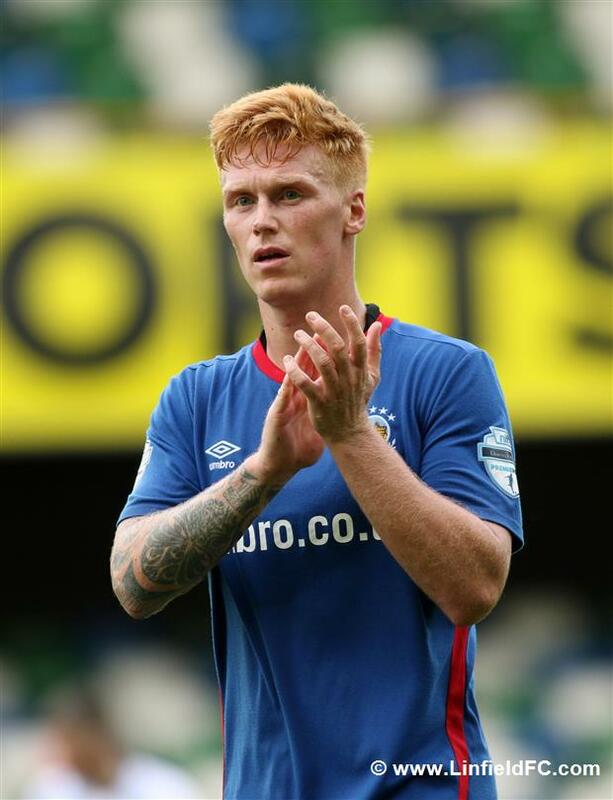 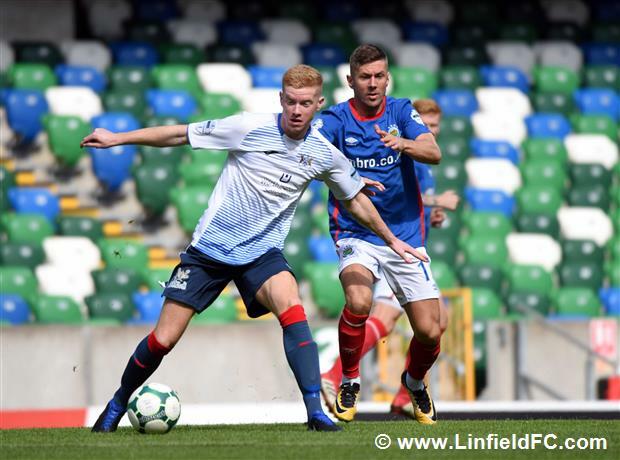 The Blues kept searching for an opener, with Joel Cooper the architect to most Linfield attacks. 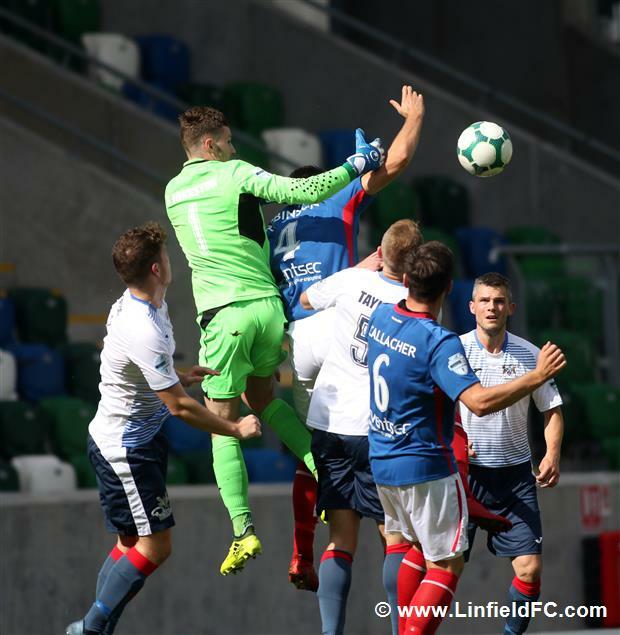 He dinked a cross up to the back post but Michael O’Connor couldn’t quite connect with a header. 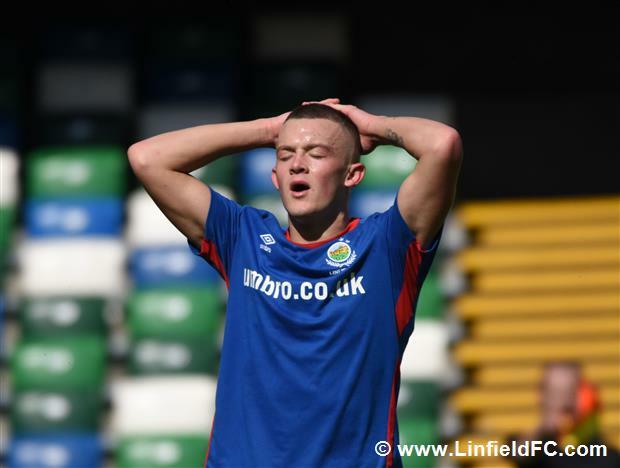 The lively Cooper also teed up the onrushing Matthew Clarke but his effort was comfortably held by the ‘keeper. 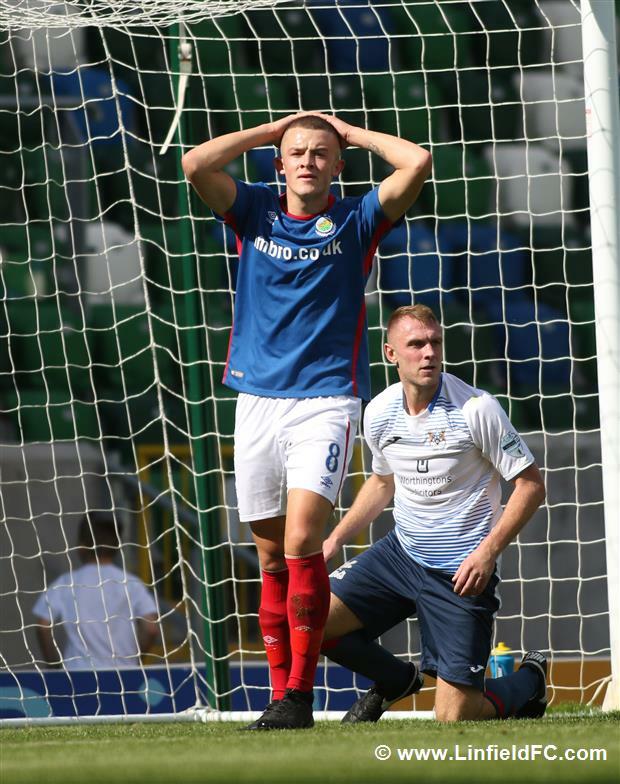 Linfield were very unfortunate not to take the lead on 28 minutes and were only denied by an exceptional goal line clearance by former player, Jonny Frazer. 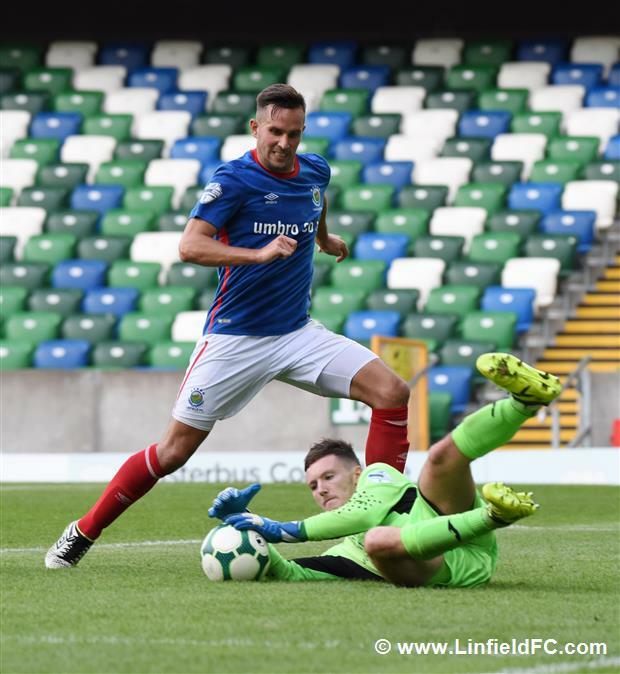 The Blues had countered an Ards corner with Joel Cooper slipping in Andy Waterworth – his shot was heading in, despite a big touch from the Ards goalkeeper but Frazer was covering to hook the ball off the line and to safety. 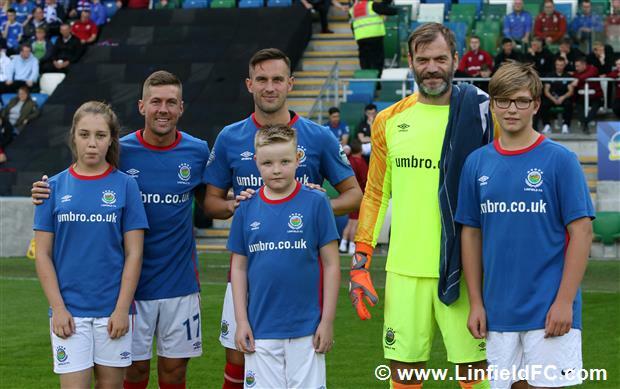 Ards had a big chance themselves to break the deadlock when David McAllister dispossessed a Linfield defender before going through on goal, only to be denied by a big save from the dependable Roy Carroll who stood up tall. 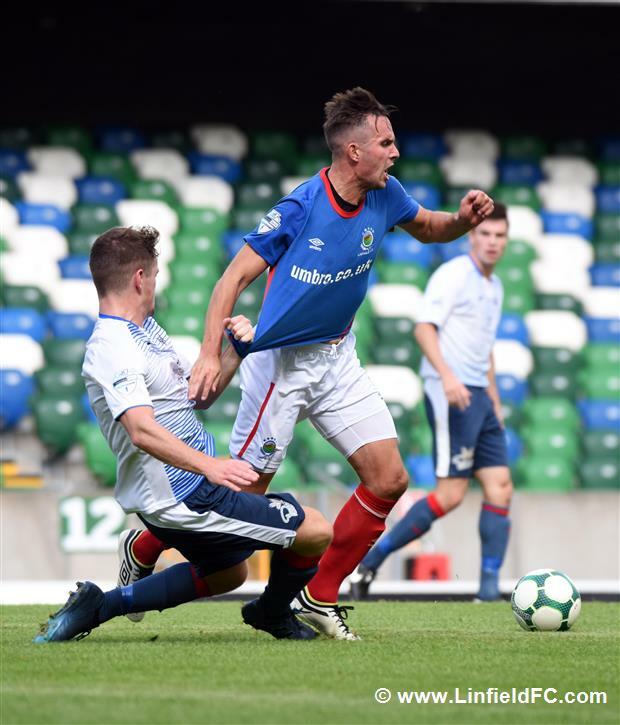 Andy Waterworth headed over from a Daniel Kearns cross and Chris Casement had a free-kick from distance saved in the closing minutes of the half, as the teams went into the break level. 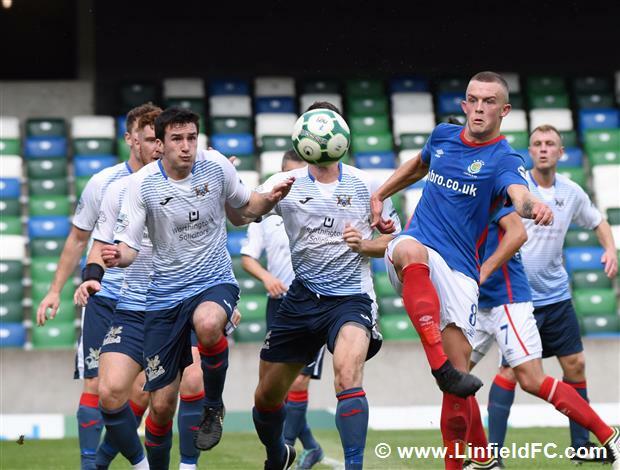 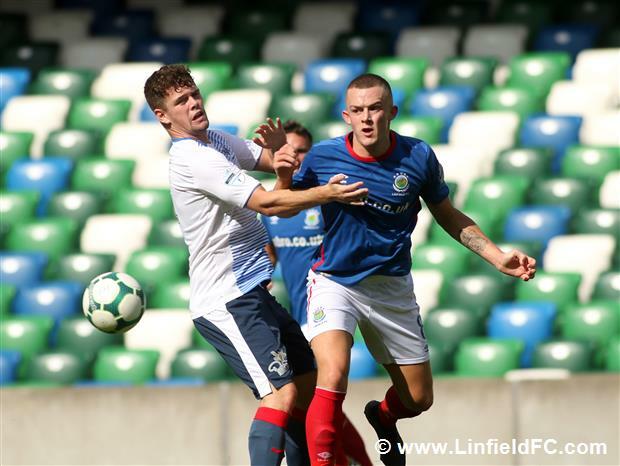 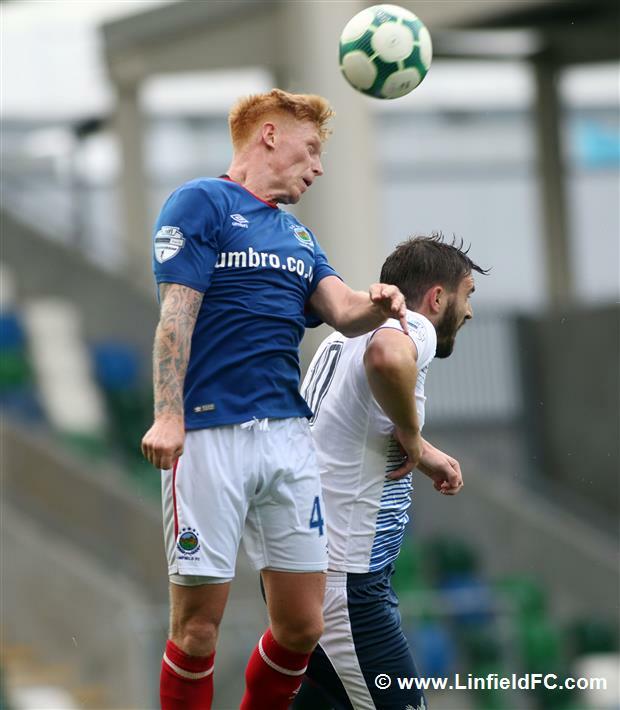 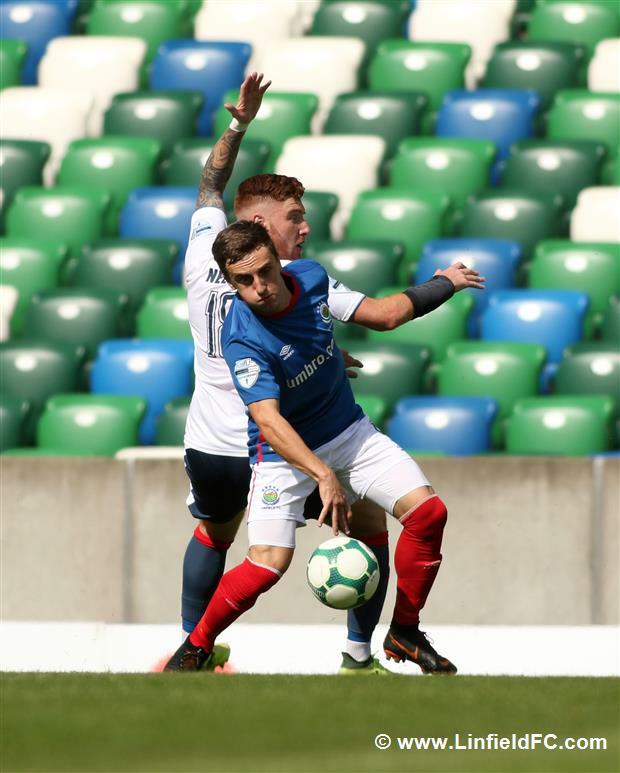 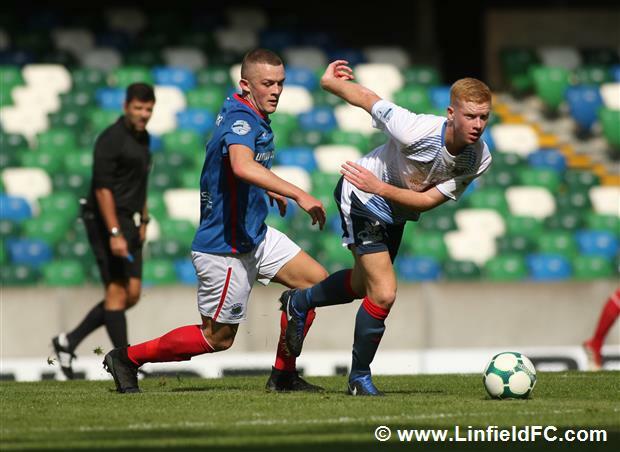 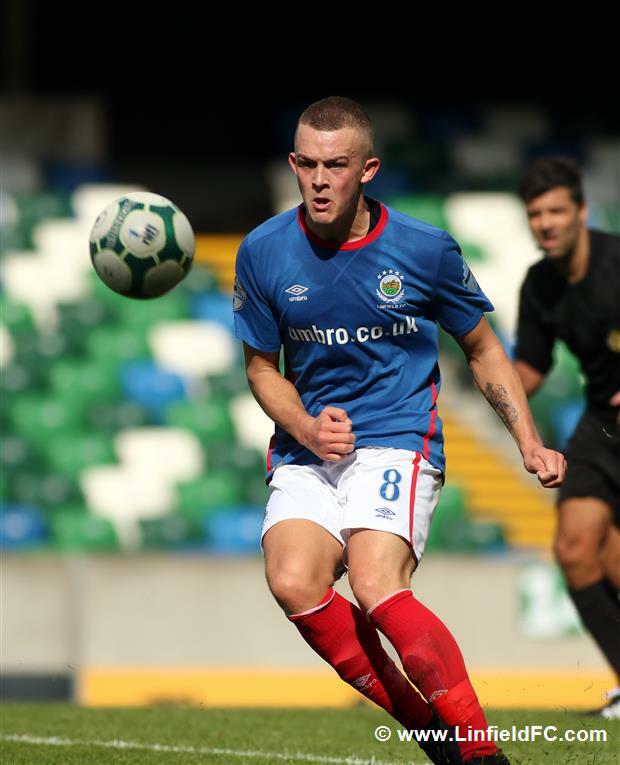 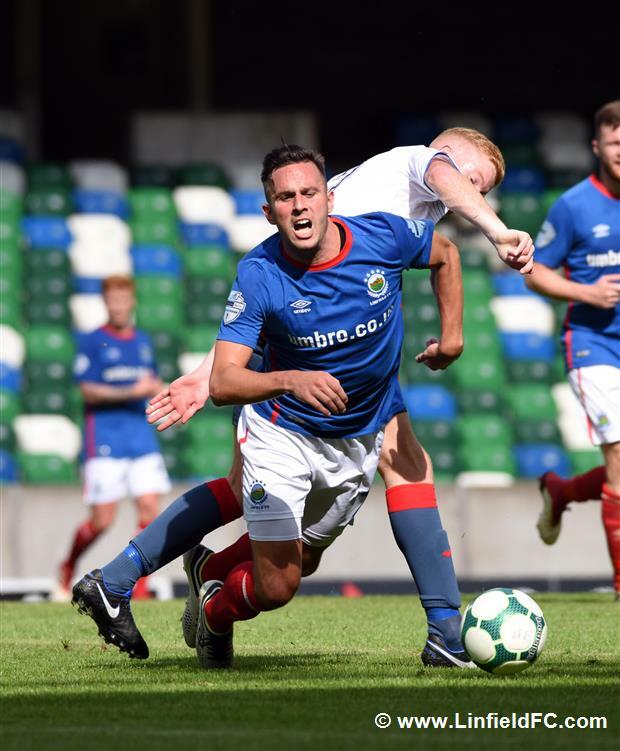 The second half started in the same fashion, with Linfield unable to find a breakthrough with Waterworth heading just over and Michael O’Connor turning smartly before having his shot beaten away by the goalkeeper. 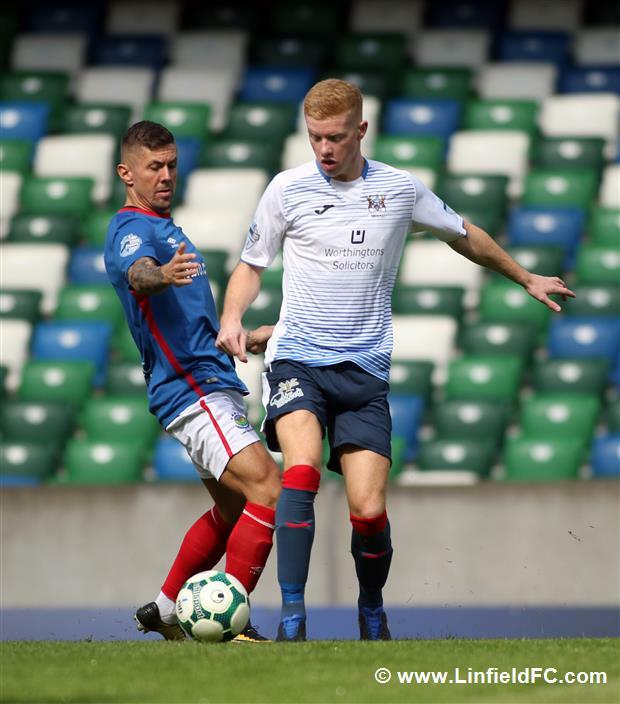 Josh Robinson produced an important tackle late on to deny Ards inside the box, with Ards players appealing for a penalty but their appeals were waved away. 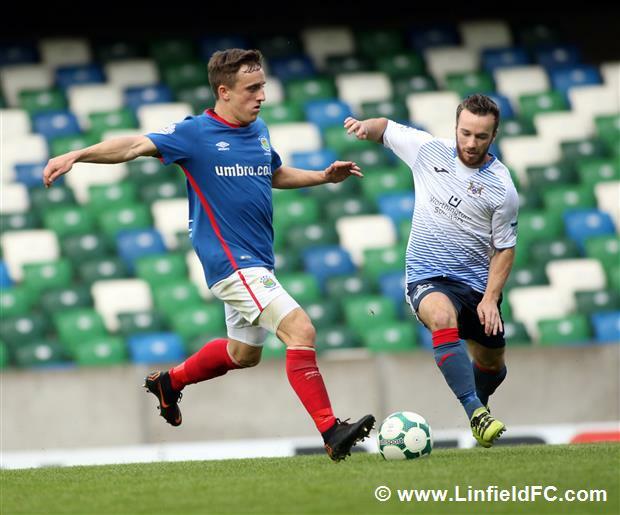 It looked like it wasn’t going to be for Linfield, as they were denied by the woodwork late on as Waterworth’s shot came back off the crossbar after Casement’s neat pullback. 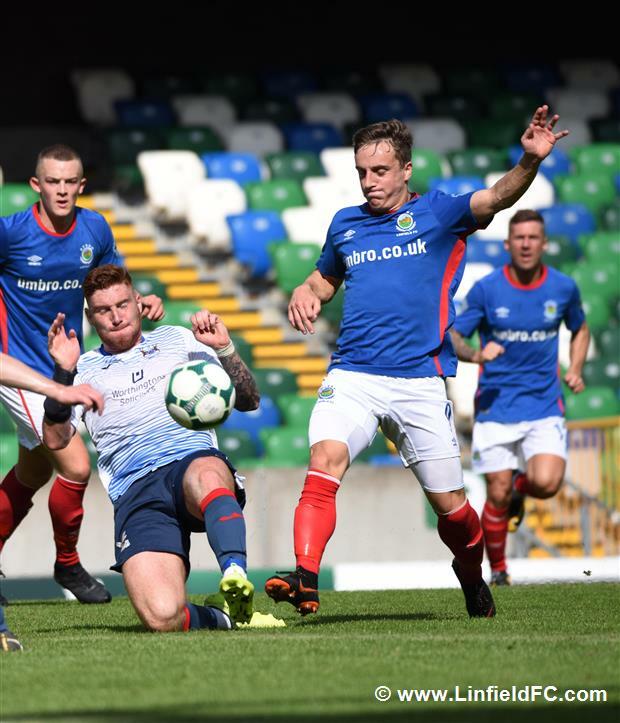 Ards skipper Kyle Cherry missed a golden chance to win it late on with a free header at the back post from Michael McLellan’s cross.